A premium full grain leather upper sculpts to the natural foot shape for enhanced ball touch and superb comfort. 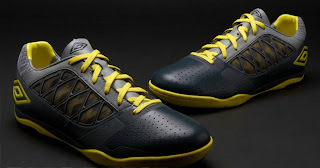 The asymmetrically lacing design improves the strike area improving your shooting and passing. 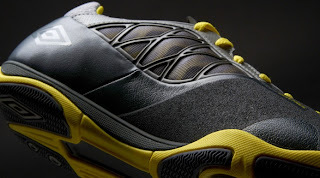 The upper is kept breathable thanks to strategically placed medial textile window. 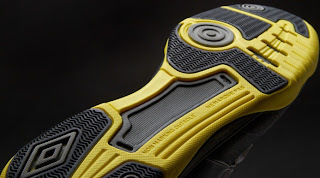 The vamp has Umbro's latest grip technology giving abrasion resistance and improves control over the ball. If you train and play hard it is import to have a comfortable boot, and this boot provides that with a removable and lightweight OTHOLITE sock-liner. Lightweight anatomically contoured Phylon and rubber outsole provides exceptional traction on indoor courts and surfaces.